Look here for Watercraft Superstore specials, questions and comments. 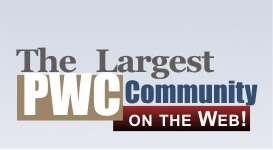 Introduce yourself to the PWC message board here. If you see news about Waverunners, jet-skis, pwcs, seadoos, etc. email or PM a moderator and we'll add it to the forum! If you have news about a pwc race, seadoo gathering, waverunner event, jetski planned ride, etc. email or PM a moderator and we'll add it to the forum! Announcements regarding PWCToday or SBT will be posted in this forum section. Details for the 2019 Sea-Doo, pwc, jetski, Waverunner, etc. rides will be popping up in this forum section. Anything not fitting in the other PWC, seadoo, jetski, waverunner Racing catagories in this forum section. 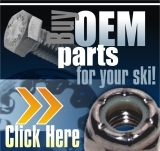 Got questions about improving the performance of your sea-doo, jetski, PWC, waverunner, etc. through the aftermarket? Post anything freestyle/freeride-related in this forum section. Showin off is now where you can put videos of riding, pictures of your Sea-Doo, jet-ski, waverunner, PWCs, etc. Feel free to attach as many pics and other info as possible! Here you can have a thread all to yourself, about whatever PWC build you are working on. Here is a collection of tech video information covering a variety of subjects on sea-doo, jetski, waverunners, PWCs, etc. This is a compilation of articles, links to good threads and FAQs to answer many of your questions about Sea-Doos, jet skis, waverunners and all other pwc's. Post topics relevant to PWCs in this Honda forum section. Post topics relavant to PWCs in this Hydrospace 4 stroke forum. 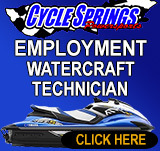 Post topics relevant to PWCs in this Kawasaki Jetski Forum. Post topics relevant to PWCs in this Polaris forum section. Post topics relevant to Sea-Doo personal watercrafts in this forum section. Post topics relevant to PWCs in this Tigershark forum section. Post topics relevant to PWCs in this Yamaha forum section. PWC advice by Bill O'Neal, Owner of Watercraft Magic, a professional aftermarket high performance jetski shop. Direct any general questions about our Kawasaki, Yamaha, Sea-Doo, Honda, Polaris and Tigershark pwc parts/products in this forum section for quick answers. PWC advice by Skiworx Watercraft Performance, a professional aftermarket high performance shop, specializing in the Kawasaki Ultra 150, Ultra 250, STX-R, STX-15F and the SX-R jetskis. Have something someone else wants to trade for? Post here for Free Trades only. Got a good (or bad) deal or product from someone? Post some information in here to let others know. Most users ever online was 5,335, 11-16-2015 at 04:15 PM.